Slow-flowing and clogged drains can be a familiar and frustrating nuisance. Many homeowners reach for their trusty plumbing snakes when the going gets tough, but what if your snake doesn’t cut it? Thankfully, there are several non-invasive options, including hydro jetting, that you can choose to clear clogs and put your drains in working order again. During the jetting process, highly pressurized jets of water power through common residential blockages, clearing soap buildup, toilet paper, food, hair and bathroom waste. Unlike a plumbing snake, hydro jetting also eliminates scale and even tree roots, making it ideal for almost any blockage problem. Hydro jetting isn’t really a DIY option, so you’ll need to work with an experienced professional. When the professional arrives, they access your plumbing system via a clean out and insert a hose, which is connected to a tank of clean water. A special machine then pressurizes the water and sends it out through the hose at up to 5,000 psi. The pressurized water works through your plumbing system, breaking up clogs as it moves along. Because it uses high-pressure water, hydro jetting isn’t suitable for every plumbing system. While the process works well with newer pipes, you need to be careful if you have an older home, because the jetting process can compromise older pipes. Many professionals, including the best rooter service companies, also use a camera to check out your pipes and drains from the inside, revealing tree roots and solid obstacles. Once the jetting process is complete, a camera is used to determine if the jetting process worked or not. At that stage, existing pipe damage and other plumbing issues become more obvious. Thankfully, plumbing problems are also easier to tackle when your pipes are clean. In conclusion, hydro jetting offers a quick, efficient way to clear severely clogged drains from within. 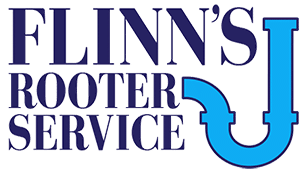 Using an insured professional company like Flinn’s Rooter Service can help you avoid potential DIY issues, so that you can enjoy free-flowing drains without the hassle. You’ll love your newly cleaned drainage pipes. We don’t use any harsh chemicals to clean out unwanted clogs so it’s safe for the environment. If your drain is clogged due to house hold items or build up, call Flinn’s for affordable hydro jetting. We are available to clean out main drains, sewer lines, kitchen sink drains, toilet drains, washing machine drains, and shower drains.